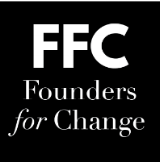 Joining Founders for Change is less of a signal of a new direction for our organization, and more of a public commitment and announcement about things that are important to us. We look at it as a way to stand up for what we believe in and to stand beside others who feel the same. As we move forward we will continue to focus on diversity in our hiring and continue to build Education Elements as an inclusive and welcoming organization. Check out our careers page and join us! We’re very excited to be a member of the Learning Commons, a free, open site where educators can search for high-quality resources provided by different learning content providers. We believe in empowering educators and equipping them with the tools and resources they need to revolutionize education in their classrooms - which is often an unnecessarily difficult task. That’s why it was important for us to be a part of this platform which can transform a teacher’s toolbox by providing content about everything from curriculum development and instructional design to professional development and cultural innovation. Much like the playlists we use in classrooms everyday, you can create your own personalized playlist or use a pre-existing one on the Learning Commons site. With a growing group of contributors, including EdSurge, the Highlander Institute, Jobs for the Future, Lindsay USD, and the Christensen Institute, we hope the Learning Commons will become the go-to resource for educators everywhere. Check out Education Elements on the Learning Commons. 29 days and counting! We’re working to finalize the tech tours for this year. If you’re on the waitlist for a tour, please hang on just a bit longer - we’ll be sending out confirmations next week. Booked your hotel room yet? If not - get on it! Our discounted room block expires Monday April 9th! Go to the Hilton website, or call 1-800-HILTONS. If you call the hotel, make sure to share that you’re attending the Education Elements PL Summit, plus the group discount code: EDU. In March, our own Senior Design Principal, Dana Britt, presented at the Mid-Atlantic Conference on Personalized Learning in a session titled: “Escape the Room: PL Style! Empowering Self-directed Learners.” In this interactive session, participants were given clues and puzzles with which to unlock physical and digital combination locks and uncover the “treasure” of resources on self-directed learning. Using collaboration, invisible ink, and a lot of grit, all six teams “escaped” and left with many resources in their PL toolkits. Take a look at these slides to get inspiration and ideas about how to run your own “escape” or “breakout” PD session in your district. Touchpoint Just Got a Serious Upgrade! 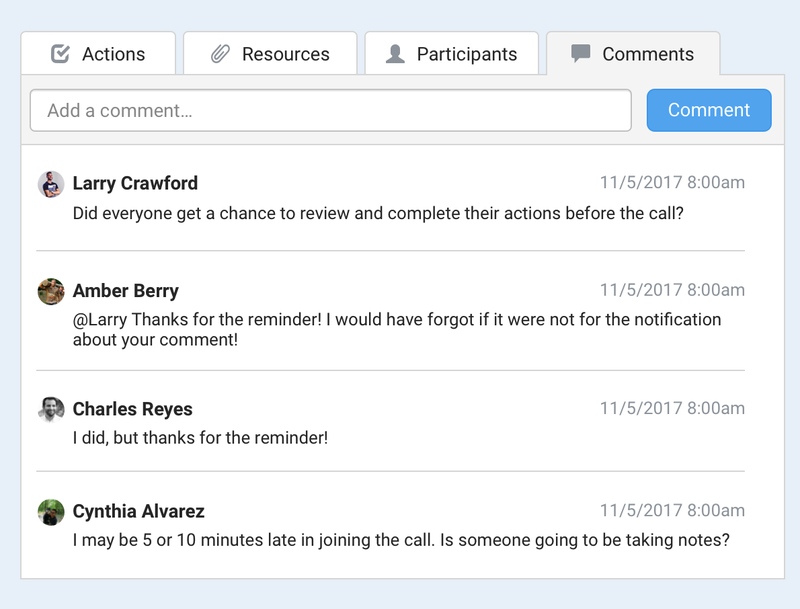 Keep reading to learn more about brand new features like commenting, the actions page, and project stats. 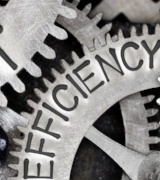 Keep the momentum of your initiative alive by engaging your team through comments. You can mention your teammates and post comments, questions and ideas to any touchpoint. Use the new project stats cards to stay up to date with the key events and actions of your initiative. Get a bird’s eye view of all of the actions tied to your initiative. 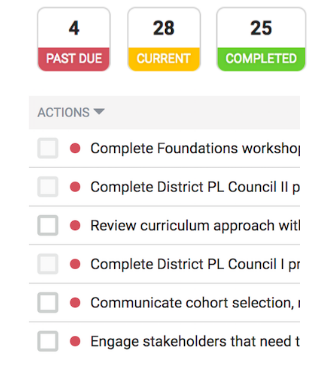 Quickly see the number of past due, current, and completed actions. 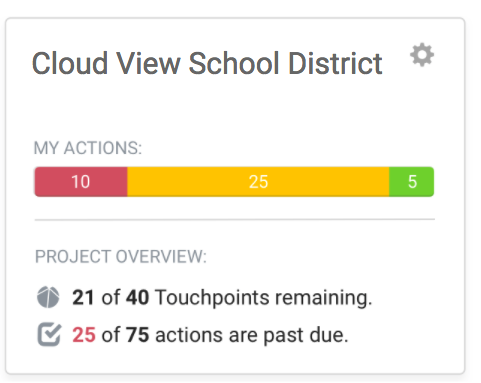 With the new actions page, you can add new actions directly to the project (instead of adding them to touchpoints)! 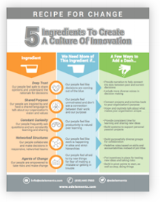 To learn more about these new features or about Touchpoint, reach out to info@edelements.com. 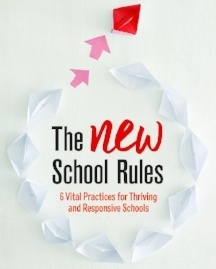 Three years ago, I received a call from an excited district leader who wanted to chat about student data (of all things)! He dreamt of building a digital “learning ecosystem,” (think instruction/LMS, assessment, IEPs, grading, attendance, transportation, etc.) to serve as the information backbone for his district’s vision to personalize the learning environment for every student. What he didn’t know was how to make that ecosystem a reality.